(i) Mode of Examination: The Examination shall only be conducted as Computer Based Test (CBT). Wherever Online Examination has been used elsewhere in this booklet, NTA’s UGC-NET application form, it means CBT only. (ii) Pattern: The Test will consist of two papers. Both the papers will consist of only objective type questions and will be attempted with a break of 30 minutes between them. 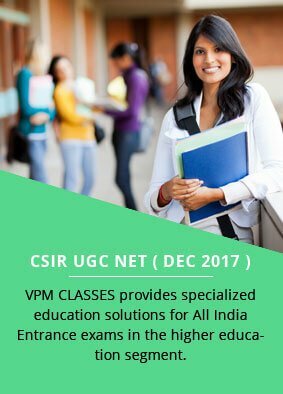 (i) Candidates who have secured at least 55% marks (without rounding off) in Master’s Degree or equivalent examination from universities/institutions recognised by UGC (on the website: www.ugc.ac.in/oldpdf/consolidated%20list%20of%20All%20universities. pdf) in Humanities (including languages) and Social Science, Computer Science and Applications, Electronic Science etc. (list of subjects at Post Graduation level attached as Annexure-IV)are eligible for this Test. The Other Backward Classes (OBC) belonging to non-creamy layer/Scheduled Caste (SC)/Scheduled Tribe (ST)/persons with disability (PwD) category candidates who have secured at least 50% marks (without rounding off) in Master’s degree or equivalent examination are eligible for this Test. (ii) Candidates who are pursuing their Master’s degree or equivalent course or candidates who have appeared for their qualifying Master’s degree (final year) examination and whose result is still awaited or candidates whose qualifying examinations have been delayed may also apply for this test. However, such candidates will be admitted provisionally and shall be considered eligible for award of JRF/eligibility for Assistant Professor only after they have passed their Master’s Degree OR equivalent examination with at least 55% marks (50% marks in case of OBC falling in Non Creamy layer/SC/ ST/PwD category candidates). Such candidates must complete their Masters degree or equivalent examination within two years from the date of NET result with required percentage of marks, failing which they shall be treated as disqualified. (iv) The Ph.D.degree holders whose Master’s level examination have been completed by 19th September 1991 (irrespective of date of declaration of result) shall be eligible for a relaxation of 5% in aggregate marks (i.e.from 55% to 50%) for appearing in NET. (vi) Candidates are neither required to send any certificates/documents in support of their eligibility nor printout of their Application Form (Confirmation Page) to NTA. However the candidates, in their own interest, must satisfy themselves about their eligibility for the Test. 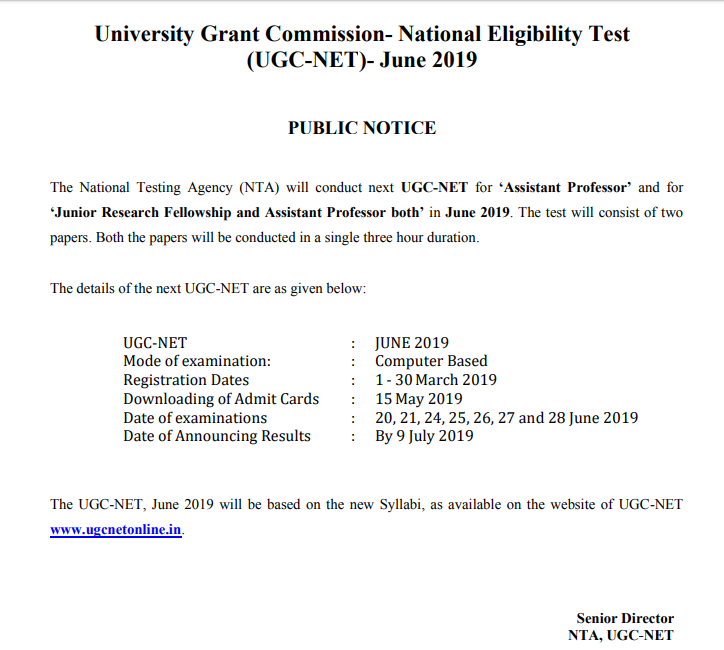 In the event of any ineligibility being detected by the UGC/NTA at any stage, their candidature will be cancelled and they shall be liable for legal action. (i) JRF: Not more than 30 years as on 01.12.2018. A relaxation upto 5 years is provided to the candidates belonging to OBC (Non-creamy layer, as per the Central list of OBC available on website: www.ncbc.nic.in) SC/ST/PwD/Transgender categories and to women applicants. Relaxation will also be provided to the candidates having research experience, limited to the period spent on research in the relevant/related subject of post-graduation degree, subject to a maximum of 5 years, on production of a certificate from appropriate authority. Three years relaxation in age will be permissible to the candidates possessing L.L.M. Degree. A relaxation of upto 5 years is provided to the candidates who have served in the armed forces subject to the length of service in the armed forces upto the first day of the month in which the concerned UGC-NET is to be held. Total age relaxation on the above ground(s) shall not exceed five years under any circumstances.